There are a lot of great reasons to shop at Costco. In addition to their new Visa credit card benefits, they carry a wide variety of merchandise, from home goods to groceries. Plus, their stores tend to have competitive rates on most of the things that they stock on their shelves even if they don’t always have the best prices. Unfortunately, these prices also mean you aren’t always getting the best deal. For those who love to use coupons for extra savings, you might be wondering: does Costco accept manufacturer coupons? There is always a bit of confusion on whether or not Costco accepts coupons because they do and they don’t. Unfortunately, they don’t accept the standard manufacturer coupons that you find in your Sunday paper or print off the Internet. They do, however, accept coupons from the coupon booklet they send to all members on a quarterly basis. So, they do accept their own coupons, but they don’t accept any others. If you are good at couponing and have the patience for it, you can get better deals at your local grocery and drug stores that do accept manufacturer coupons, than you can get at Costco. The fact that Costco doesn’t accept manufacturer coupons, other than their own, is one of the top things that frustrate people who coupon. 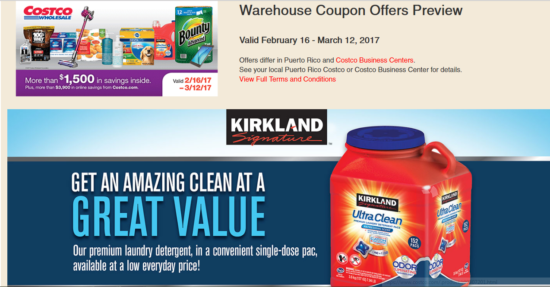 Why Doesn’t Costco Accept Sunday Paper Coupons? While the Savings Advice team did not hear back as to why they don’t accept coupons from other providers, our guess is that doing so would cause way more problems than it would be worth. 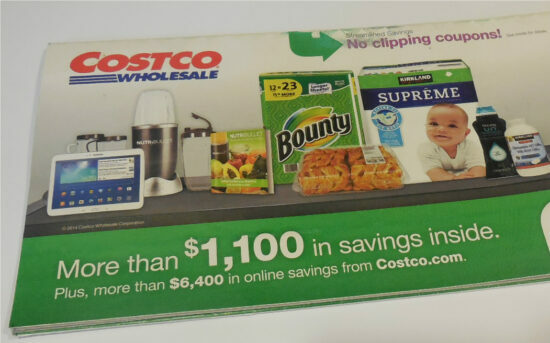 The coupons found in the Sunday paper and those that can be printed off the Internet are for product sizes which are much smaller than those sold at Costco. Furthermore, the check-out lines at Costco are so busy, that someone with a bunch of coupons could throw havoc into getting people checked out in a timely manner. In the end, accepting them could affect Costco’s customer service efforts and cost the company far more money than any good they would earn from doing so. To highlight that Costco wants to stream the coupon process as much as possible, they provide coupons both online and in a physical booklet. If you purchase a number of items in-store that have coupons available, you don’t have to cut them all out of the booklet. You simply bring in the coupon book and there is a master bar code that the cashier will scan. When done, their system will automatically deduct the amount from all the items you purchase which have a coupon available. And, if you forgot your booklet, don’t worry; we’ve found in our experiences that most cashiers have a booklet at their station. Just tell the cashier that one of the items you bought has a coupon and that you accidentally forgot your booklet, and they will scan their coupon booklet ensuring you get all the savings. Actually, you can save paper all together by downloading the Costco app onto your iPhone or Android. This mobile app will not only send you the latest offers, but you can use it to shop the store online, create shopping lists, upload photos to print at the photo center and more. If you hate cutting coupons, using the Costco coupons is probably the easiest form of couponing out there, considering all the deals you’ll find are in one place. If you do coupon like a fiend, it’s probably worthwhile doing most of your shopping at stores other than Costco that do accept manufacturer coupons, as you can get better deals this way (even when the warehouse chain does offer their own coupon for an item), especially when you take the $55 membership fee into account. Whatever you decide, just remember that Costco won’t accept any coupons other than their own. I love Costco and I shop there a lot, but I would love it if they accepted coupons other than their own. Then I could really get some great deals. I like Costco, but now we have a BJs Wholesale in our area and they take manufacturer’s coupons. I found out recently that you can even use manufacturer’s coupons on top of their own coupons, yes, you can double them up! I love Costco and I’m fine with the coupons they send to me. I would never use Sunday paper coupons. It’s just too much of a pain to try and cut, sort and keep track of them all. I would go insane! One of the reasons I’m a Costco guy is because of my hatred of “coupon lady.” The Costco employees (cashiers) at my local Costco automatically yoink the prices down to the best they have at that time. Even when you forget your little booklet. Even the booklet has changed in the past 6 months. I save more using costco coupons than I did at other stores using coupons from the Sunday newspaper is an expensive gamble. It’s $1.75 per week, there were plenty of weeks that there were no coupons for items I buy, yearly subscription is a bit less but some weeks there are no coupons & you’re now invested pretty heavily wether you get coupons or not. Costco is only $55 for the year, not nearly as big of an investment plus it wouldn’t be hard to eat $55 in samples to get your money’s worth but I tend to save $25-45 a month with coupons on things I regularly buy & use.